The Tyler Prize for Environmental Achievement honors two very valiant and innovative scientists, for their leadership and engagement in the development of conservation and sustainability policies in the United States, India and internationally. Dr. Jane Lubchenco is recognized for effective and valiant public leadership to sustain our global ocean commons and for her inspired work in education, mentorship, science communication, and science policy. Her research and policy efforts have advanced understanding of threats to ocean biodiversity and the feasibility and benefits of recovering depleted fisheries and creating marine protected areas to enhance our global life support systems. She sets an example for all scientists to take on the responsibility of communicating science to inform public understanding and policy that sustains earth’s natural resources. Dr. Madhav Gadgil is recognized for innovative and courageous public leadership to sustain and enhance the natural resources of India. He has brought awareness of the strong links between people and their natural environments. He particularly has advanced the assessment of environmental impacts of state and national policies by utilizing community-engaged processes to inventory and manage biodiversity. Through high-impact publications he has mobilized communities and has deeply influenced public opinion and national policy in India. The 2015 Tyler Prize for Environmental Achievement is awarded to Dr. Jane Lubchenco, a University Distinguished Professor and Advisor in Marine Studies at Oregon State University, in recognition of her achievements in marine biology, science education, policymaking, and public service. Dr. Lubchenco’s innovative research is well-known. From oceanic plant-herbivore interactions to durable opportunities to reverse degradation in marine systems, she has covered the many nuanced issues associated with ocean stewardship and marine resource protection. In addition to her scientific accomplishments, she is well known for her leadership in highlighting global matters, such as marine ecosystem security and climate change, and bringing them to the forefront of policy development. Dr. Lubchenco’s early research focused on the interactions among species on rocky sea shores. In studying species dynamics, she discovered basic processes that determine how these communities operate, persist, and evolve. Her research has included studies of marine biodiversity and ecosystem functioning, with a special eye toward how marine ecosystems work, how they are changing and how people might manage activities to ensure healthy ocean ecosystems. She has been at the forefront in the design and creation of effective marine protected areas and marine reserves worldwide. Dr. Lubchenco’s work bridges the gap between science and politics by informing recommendations for sustainable management policies and practical responses to pressing global issues such as ocean acidification and overfishing. Over the past two decades, Lubchenco became well known in the world of environmental policy and management. She served as a member of the National Science Board from 1996-2006 and was nominated to be Under Secretary of Commerce for Oceans and Atmosphere and Administrator of the National Oceanic and Atmospheric Administration (NOAA) by President Barack Obama in 2008. She held the top NOAA position from 2009 to 2013 and implemented a focused, ambitious mission for the agency. She helped secure a dramatic budget increase for NOAA, turned the corner in ending overfishing and returning fisheries to sustainability and profitability, helped create the first U.S. National Ocean Policy, and strengthened NOAA’s role in climate research. Her tenure at NOAA covered several highly active hurricane seasons, some of the hottest years on record, and a number of severe weather events. Lubchenco organized efforts to improve efficiency at NOAA and implement a variety of useful climate products, such as the climate.gov website that provides in-demand climate data and information. She prioritized sustainable aquaculture, and enacted a new Aquaculture Policy and a National Shellfish Initiative. She reestablished the Chief Scientist position at NOAA, as well as a number of other senior scientist jobs within the administration. In 2011, NOAA released its first Scientific Integrity Policy to ensure that scientific information at NOAA will not be suppressed, distorted or manipulated, and to enable NOAA scientists to speak freely to the media without being scripted or constrained. This diverse legacy is bringing multiple benefits to the U.S. and beyond. For example, many depleted fisheries are now recovering and many fisheries are becoming more profitable and having a lower environmental impact. As further evidence of her commitment to leadership and scientific action, Dr. Lubchenco was recently appointed to serve as the Department of State’s first-ever Science Envoy for the Ocean beginning this year. This is a role that will allow Dr. Lubchenco to continue her work on an international level, by promoting sustainable fisheries, the conservation of oceanic biodiversity and the economic longevity of coastal communities worldwide. Dr. Lubchenco was born in Denver, Colorado in 1947. She received her B.A. in Biology from Colorado College, where she was a Ford Foundation Independent Studies scholar. She went on to receive an M.S. in Zoology from the University of Washington in 1971, and a Ph.D. in Ecology from Harvard University in 1975. 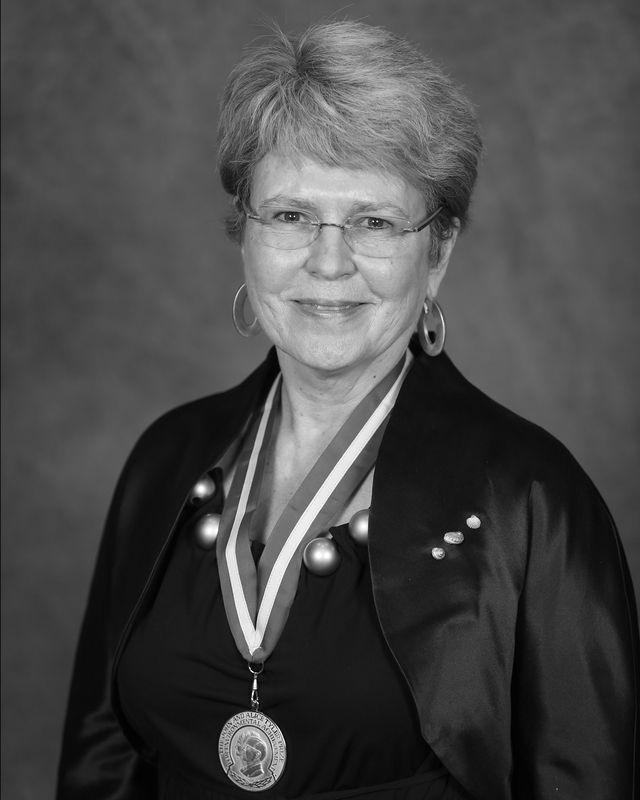 Lubchenco continued her work at Harvard University as an Assistant Professor until 1977 and went on to join the faculty at Oregon State University (OSU), where she rose through the ranks from Assistant Professor to Distinguished Professor. She has been named a Wayne and Gladys Valley Professor of Marine Biology at OSU and is currently the University Distinguished Professor and Advisor in Marine Studies. With over 150 peer-reviewed published papers to her name, eight of which have become “Science Citation Classics,” Dr. Lubchenco is one of the most highly-cited ecologists in the world. In support of her commitment to scientific communication, she has frequently contributed articles to popular newspapers and magazines on topics ranging from the effects of oil spills to the need for the sustainable management of marine resources worldwide. Lubchenco is also well-known for her work as an educator and mentor. She has advised dozens of undergraduate students on research projects and theses at OSU. Alongside her husband and colleague, Dr. Bruce Menge, she has mentored more than 50 graduate and post-doctoral students, many of whom have gone on to make great contributions to marine biology research and education. Dr. Lubchenco has also helped to educate the next generation of scientists through a range of visiting professorships at universities around the world. She has taught at the University of the West Indies in Jamaica, the Smithsonian Tropical Research Institute in Panama, Universidad Catolica in Chile, the Institute of Oceanography in China, and the University of Canterbury in New Zealand. Most recently, Lubchenco served as a Mimi and Peter Haas Distinguished Visitor in Public Service and Visiting Fellow at the Center for Ocean Solutions at Stanford University. Throughout her career, Dr. Lubchenco has been presented with a wide range of professional honors and awards. She was the recipient of a prestigious MacArthur Fellowship in 1993 and in 2002, was presented with the Heinz Award for the Environment. Lubchenco was later awarded the Nierenberg Prize for Science in the Public Interest from Scripps Institute of Oceanography. She won the Environmental Law Institute Award in 2004, the first scientist to receive this honor. She was also presented with the Zayed International Prize for the Environment for Scientific and Technological Achievement in 2008. Dr. Lubchenco has been recognized with the Woman of Achievement Award from the Oregon Commission for Women, the Woman of the Year Award from the Women’s Council on Energy and the Environment, and induction into the Women in Science and Technology Hall of Fame. This is a just a small sample of the numerous accolades that have been bestowed upon Dr. Lubchenco to date. She currently holds 19 honorary doctorate degrees from a number of top-tier universities, and she has been a member of the editorial boards for many scientific journals in her field. She has been elected President of the International Council for Science (ICSU), the Ecological Society of America, and the American Association for the Advancement of Science, and served on the Governing Board of the National Academy of Sciences. Reflecting her strong commitment to the communication of science to public audiences, she co-founded three organizations train scientists to be more effective leaders and communicators: the Leopold Leadership Program, COMPASS, the Communication Partnership for Science and the Sea, and Climate Central. As a testament to the impact of her work, Dr. Lubchenco has also been featured widely in popular publications. In 2002, she was highlighted in Discover magazine as an Outstanding Woman Scientist, and Sunset magazine gave her the Coastal Hero Award in 2010 for “amazing work in protecting and preserving the West’s greatest treasures, the Pacific Ocean and its thousands of miles of shoreline.” Nature magazine also featured her in 2010 as the Newsmaker of the Year and included a prominent article on her work that year. Dr. Lubchenco’s nomination for the Tyler Prize was initiated by Dr. Diana H. Wall, University Distinguished Professor at Colorado State University and 2013 Tyler Laureate. Dr. Lubchenco’s colleagues recognize her as a leader in the scientific community, and a champion for effective science education and policy. In a supporting letter, E.O. Wilson called her a “distinguished ecologist,” “leading educator,” and a “foremost citizen scientist.” While Dr. Lubchenco’s accomplishments are vast, Dr. Wall succinctly summarizes these achievements as all part of Lubchenco’s extraordinary “life long commitment to assuring a sustainable planet” – an effort that has earned her this nomination for the 2015 Tyler Prize for Environmental Achievement. 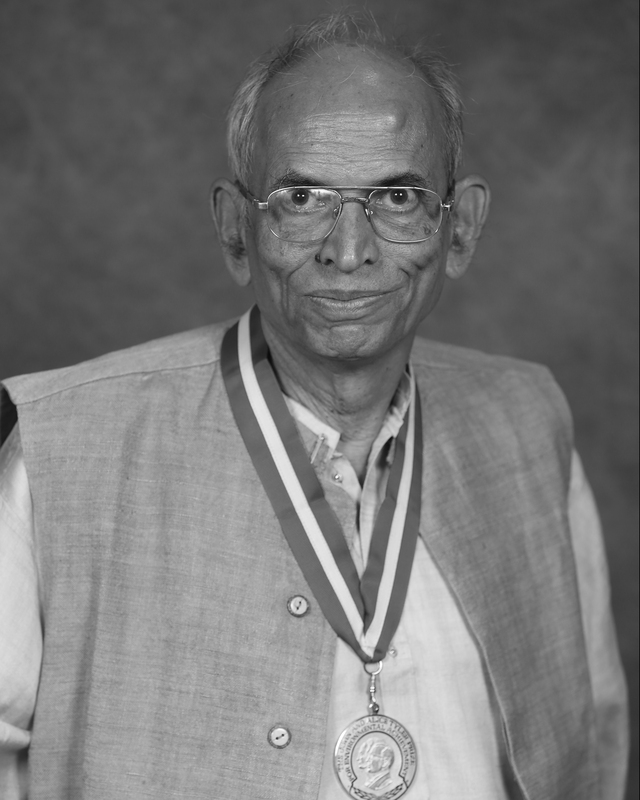 The 2015 Tyler Prize for Environmental Achievement is awarded to Dr. Madhav Gadgil, a D. D. Kosambi Visiting Research Professor in Interdisciplinary Studies at Goa University, in recognition of his achievements in ecological research and the promotion of environmental stewardship. Dr. Gadgil’s work in quantitative ecology and population biology is widely recognized in his field and his efforts in applied science and strengthening the social aspects of environmental awareness have been truly impactful. Throughout his career, he has sought to bridge the political divide between environmental wellbeing and economic pressures while maintaining a high standard for sustainability and justice. As a multi-talented figure in the environmental community, Gadgil’s career has run the gamut from quantitative research to sociological studies to government advisement. His theoretical work is impressive on its own, but the hallmark of Gadgil’s career has been his ability to synthesize these ideas for practical policy-based solutions. Dr. Gadgil is well-known for his preservation achievements in the Western Ghats region of Southern India, a unique global biodiversity hotspot. His colleagues speak highly of the on-the-ground community work he has done with local villages to promote participatory resource conservation. He has been called a pioneer in recognizing and leveraging the human role in environmental science and ecological management. Through these efforts, Dr. Gadgil has helped preserve sacred groves in India and abroad. He has also established methods for local groups to inventory and monitor biodiversity within their communities through “People’s Biodiversity Registers” in conjunction with India’s Biological Diversity Act. He has helped reform resource management in India, leading to increased forest preservation in culturally significant locations such as Silent Valley National Park, which contains one of the last untouched stretches of South Western Ghats mountain rain forests. By engaging communities in India and enhancing the crucial cultural connections that exist between humans and their natural surroundings, he has advanced sustainable resource management, promoted conservation and provided grassroots education to one of the most populous and biodiverse regions of the world. Dr. Gadgil was born in Pune in the state of Maharashtra, India in 1942. In 1965, he graduated from Bombay University with a Master’s Degree in Zoology. From there, he went on to Harvard University, where he received a Ph.D. in Biology for his thesis in mathematical ecology, which quickly became a citation classic. This work earned him an IBM Fellowship at the Harvard Computing Center, and he stayed on at the university as a lecturer in biology. In 1971, Gadgil returned to India to support the practical and scientific applications of ecological research in his home county. He began this work as a scientific officer for the Maharashtra Association for Cultivation of Science in Pune. In 1973, he helped set up the Centre of Theoretical Studies at the Indian Institute of Science in Bangalore, where he went on to establish the Centre for Ecological Studies in 1983. He worked at the Indian Institute of Science for more than 30 years, taking on roles that range from Assistant Professor to Chairman. Dr. Gadgil has worked extensively for greater conservation in the Western Ghats region of India, and he has become well-known for his work chairing the Western Ghats Ecology Expert Panel, also known as “the Gadgil Commission.” The group produced a two-volume report, which makes recommendations for regional environmental protection while also promoting sustainable development in a manner that is mindful of human needs. This work was presented to the Government of India in 2011 and it was released to the public later. It has sparked political debate and grassroots movements in India, and has been translated and shared broadly. In keeping with his body of work, Dr. Gadgil’s publications have had a tremendous influence on social environmental problems and have been instrumental in bringing India into worldwide discussions on ecological issues. Two of his books—This Fissured Land: An Ecological History of India, published in 1992, and Ecology and Equity: Use and Abuse of Nature in Contemporary India, published in 1995—have been translated into several languages and continue to be widely used as university texts. To date, Dr. Gadgil has written six books, 227 scientific papers, and numerous manuals and advisory reports. He has also been an active member in a wide range of professional and governmental committees such as the Karnataka State Planning Board, the Scientific Advisory Council to the Prime Minister of India and India’s National Advisory Council. He was Vice President of the United Nations Framework Convention on Climate Change Convention on Biological Diversity Subsidiary Body for Scientific and Technological Advancement, where he made advancements in solidifying countries’ sovereign resource rights. Gadgil also served as the Chair of the Global Environmental Facility Scientific and Technical Advisory Panel for four years. Dr. Gadgil has been recognized throughout his career with numerous accolades presented by peers and government officials. He has been awarded two of India’s highest civilian honors by the President of India—the Padma Shri in 1981 and the Padma Bhutan in 2006. In 1983, he was also given the Rajyotsaya Award from the State of Karnataka. He received the Rathindranath Tagore Award in 1985, as well as the Shanti Swarun Bhatnagar Award for Biological Sciences the following year. In 1993, Dr. Gadgil was honored with the Pew Scholars Award in Conservation and the Environment. He later received the Rustum Choski Award for Excellence in Science by the Indian Institute of Science in 1997. Harvard University presented him with the Centennial Medal in 2002, and he was a recipient of the Volvo Environment Prize in 2003. In 2013, he was awarded an honorary Doctorate from the Central University of Orissa, Koraput, and the Western Ghats Ecology Expert Panel that he chaired was honored with the Nicholas Georgescu-Roegen Award in the field of Bioeconomic Practices. Dr. Gadgil’s profound efforts in advancing India’s environmental stewardship have been garnering the respect they deserve, and these awards are representative of just a portion of his recognition over the years.